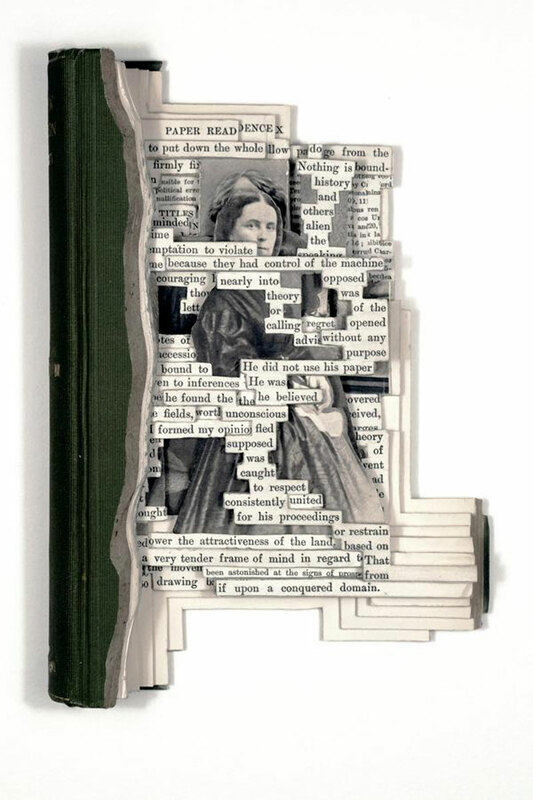 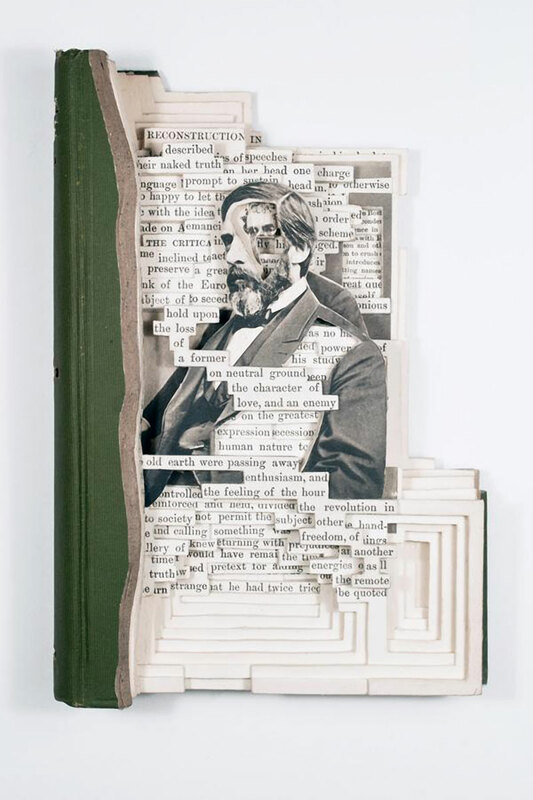 A series of sculptural works by New York-based artist Brian Dettmer created from early 20th-century political texts. 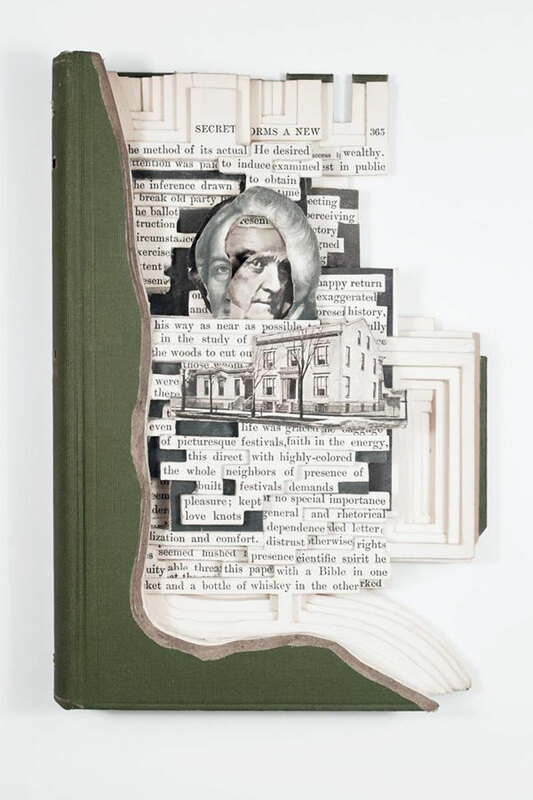 He excavates the pages of the book by employing a subtractive process—sealing the book and then removing pages to connect disparate ideas and revealing images of the founding fathers presented alongside each other. 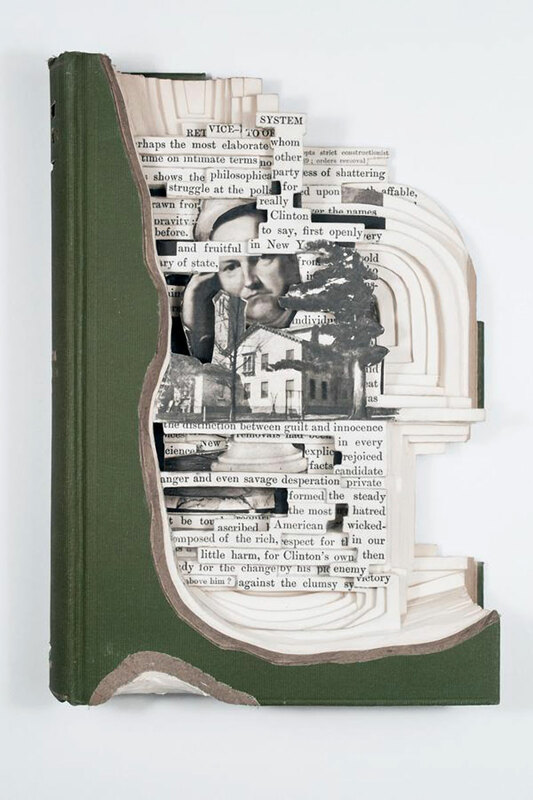 The meaning on the printed page is restructured while offering "a holistic saturation of new paths for exploration." 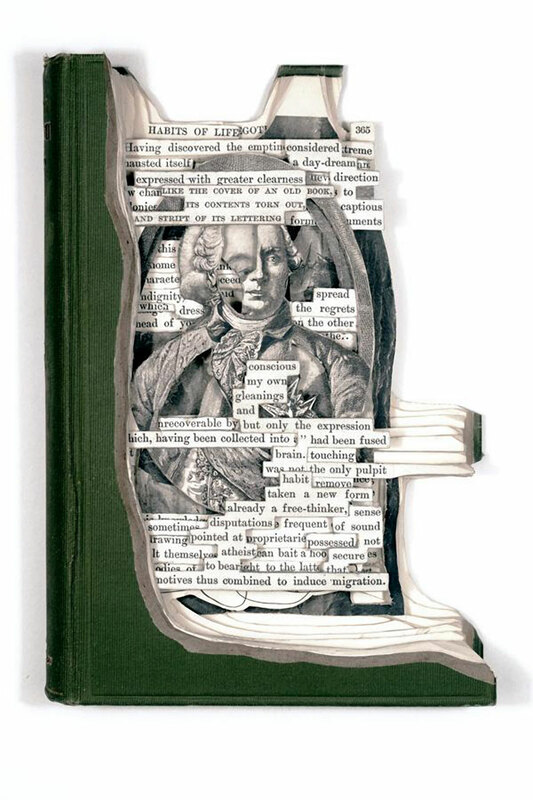 Reflecting on the tremendous and tumultuous change in our current political landscape, Dettmer exposes the slippery nature of language while mirroring the distorted rhetoric presented to us by politicians and the media. 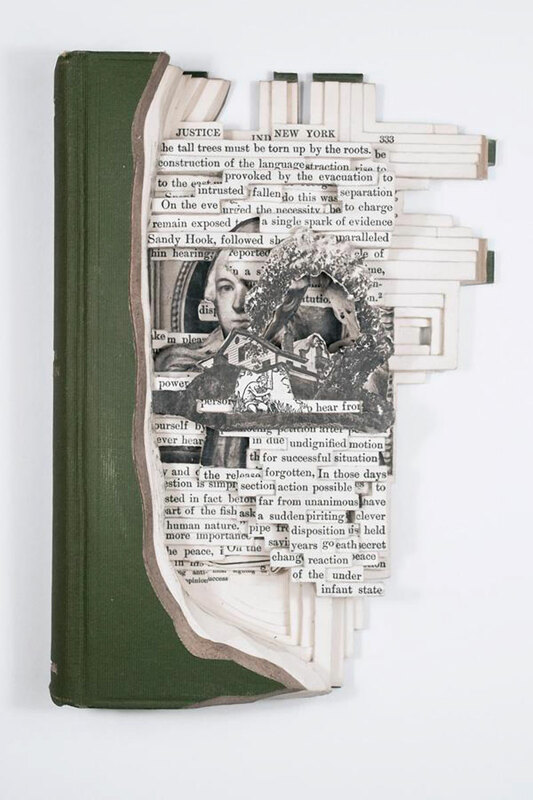 When books become sculpture the codex becomes a palimpsest, a material to question the structures and perspectives of the past while pondering the uncertainties of the future. 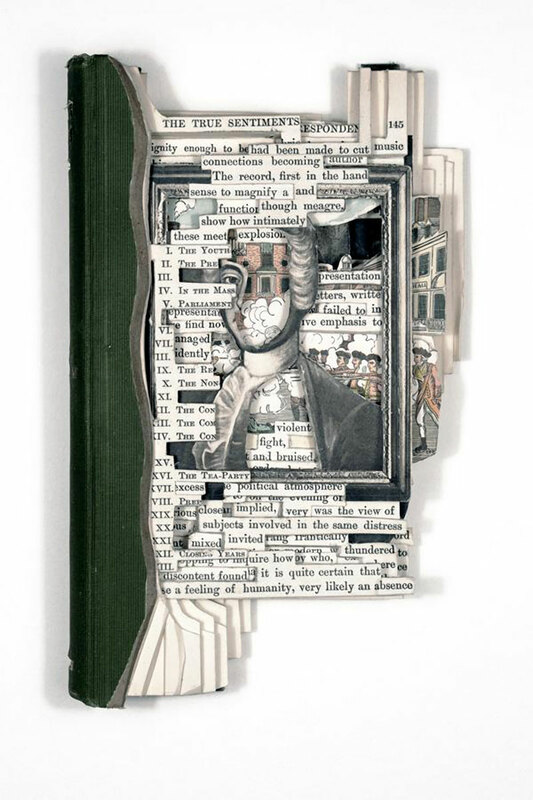 On view at P.P.O.W Gallery through October 15. 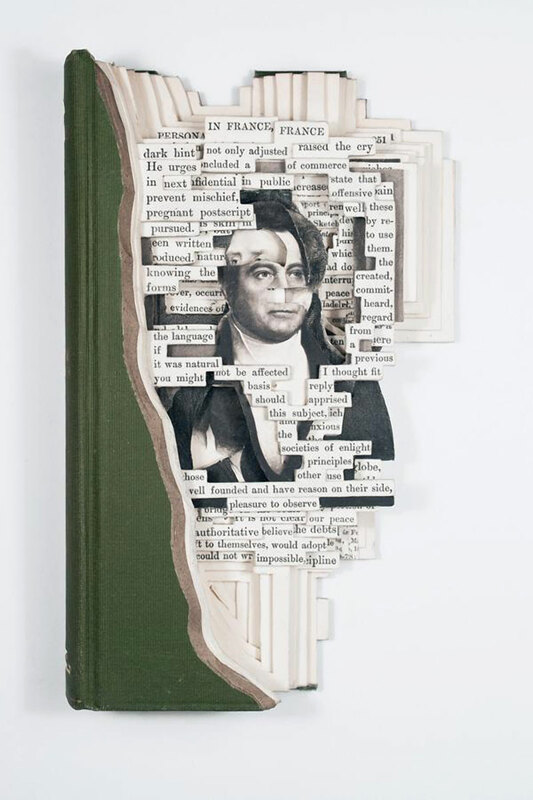 A series of sculptural works by New York-based artist Brian Dettmer created from early 20th-century political texts.